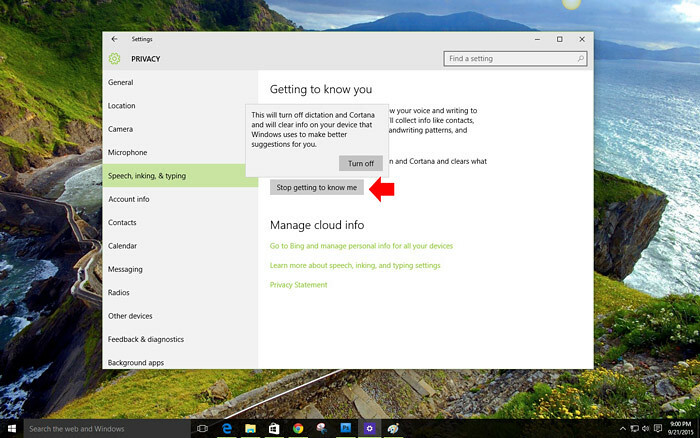 By default when you install or upgrade your computer to Windows 10, a number of privacy settings which can collect your personal data are turned on. The reason why these settings enable is to make Cortana more accurate and effective virtual assistant which added to Windows 10. But not only Windows 10 are using this method or technique to make their users satisfied everytime they asked questions on virtual assistant or displaying relevant updates. Google is using this for quite awhile if you’re using Google now on your phone and connect your Google account, you will notice that all the updates that you see are based on your interest. Not only that, websites with advertising are also using cookies to make the ads shown to every user is in their interest. Cookie or Internet Cookie is a small piece of data sent from a website and stored on a user’s web browser while the user is browsing that website. You will notice that, for example, you search for a running shoes, your browser records it and when you visit the website with ads like Facebook you will see an ad related to your search. 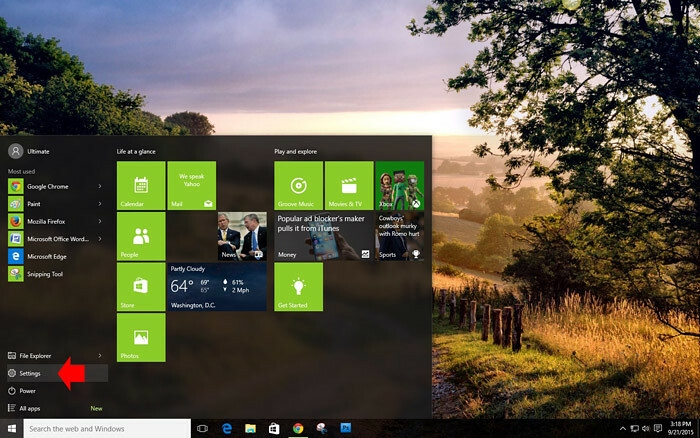 In Windows 10, all these features are also available not only to make Cortana better serve you, but for the advertisers to make all the ads you see are relevant to your interest. 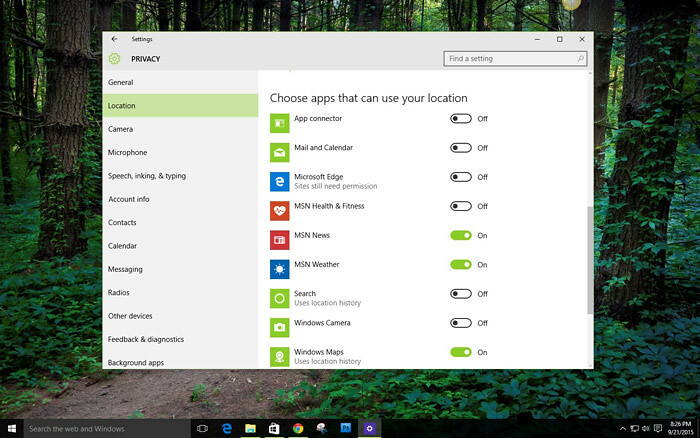 But if you’re not comfortable with this setup of Windows 10 and you think its evading your privacy, you can easily turn off this setting. 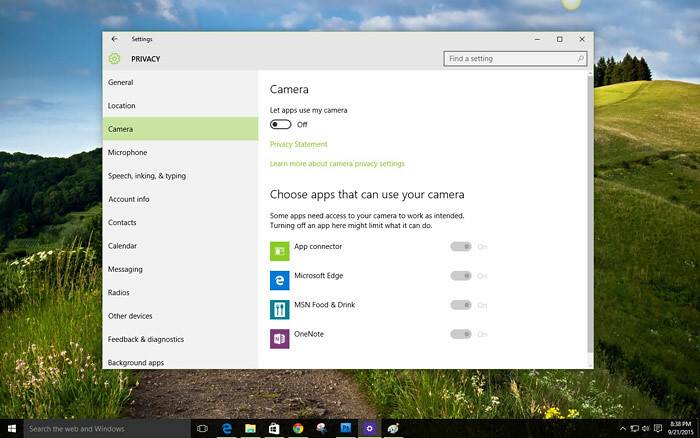 Here’s how to stop Windows 10 from spying on you. 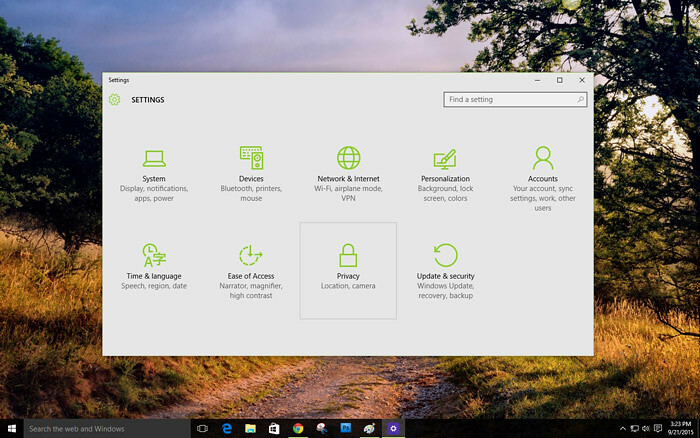 Access the privacy settings by Windows icon on the left-bottom corner of your screen (Start in previous Windows) and click Setting on the pop up menu. 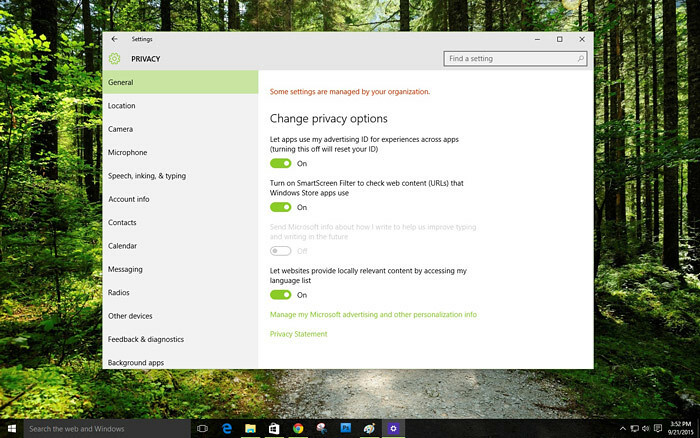 In the Settings window, select Privacy. It will open the Privacy settings in General section, from here you can control the advertisement shown when you are accessing apps and websites. The advertising ID is a unique identifier that use by apps in Windows 10 to make the ads relevant. If you don’t want to personalize the ads inside the apps turn this off by sliding the button. On the other options you can refer to the description and decide whether you want to disable or keep it on. 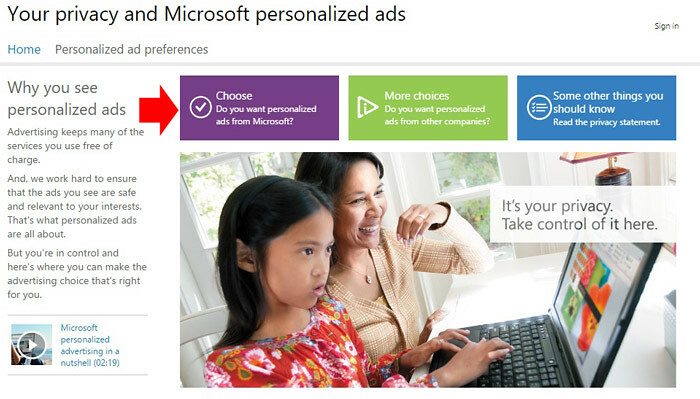 Microsoft also provides a website where you can control or personalize the ads that shows in your browsers, visit this link and choose what you want to personalize by clicking the purple color. You can also access this on privacy settings under General section at the lower part. Under Location, you can control whether you want every sign in user to control or change their own location and on the other location knob control, you can control the app that access your location, if turned on the app will automatically detect your location when needed. You can also clear location history on the device by simply clicking the “Clear” button. Further down, you can turn on or off location on every app that uses location. In the Camera section you can control if you want your camera to be used by specific app or disable it for all apps using a single button. 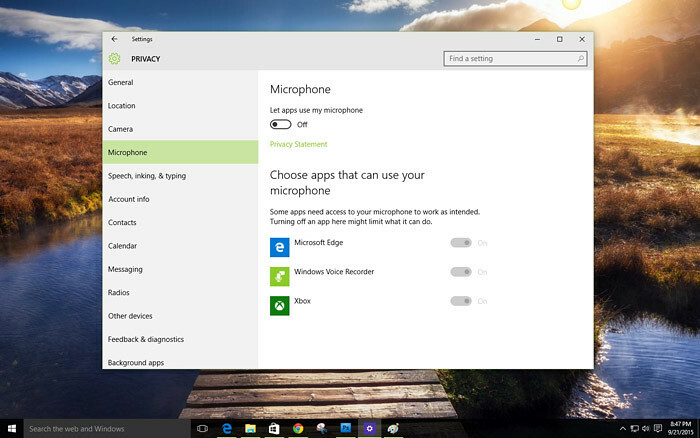 Next is Microphone, similar to camera you can also select which app can use your Mic. Speech, Inking and Typing, maybe you freak out if you know that Windows 10 is collecting your personal information, recognizing your voice, handwriting patterns and typing history to get to know you. All of the data collected will be used by Windows virtual assistant Cortana to make more accurate everytime you asked questions, but if you’re not comfortable in this setting, you can easily turn off. 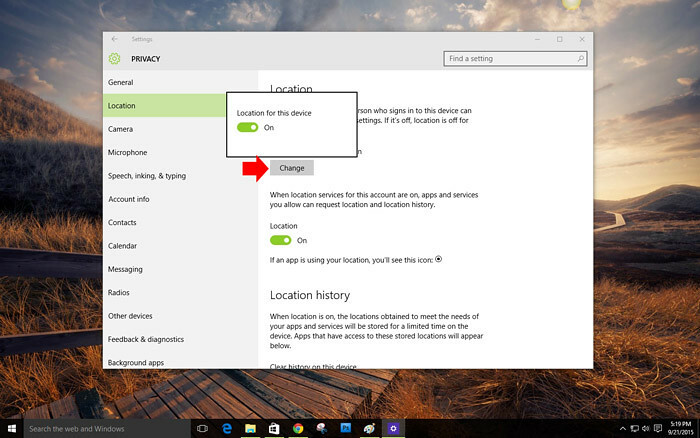 When you turn off this feature, dictation and Cortana will not work. Under account info, turn off the knob if you don’t want your personal info to be access or used by apps. In Contacts you can also control which app you want to use your contacts. Explore other section in privacy settings like the Calendar, Messaging, Radios and decide if you want to keep your privacy on or off. 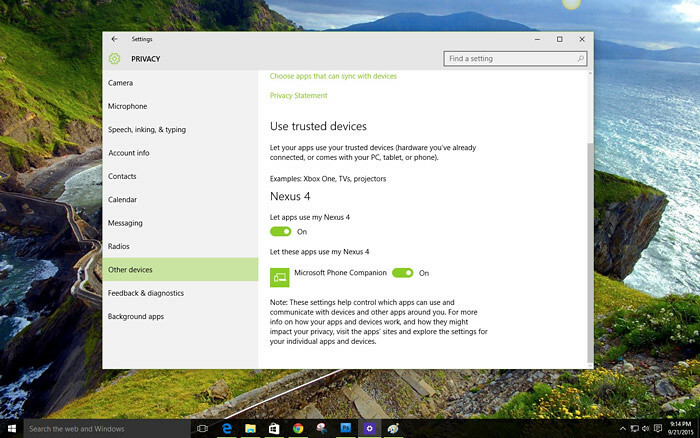 In the Other device section, you can allow your trusted devices to also use the apps that you are using in Windows 10, which makes it easy to synchronize the device. Now that you already know where you can easily control the privacy settings in Windows 10, you have a peace of mind that your personal data are in safe place. Don’t forget to share if you find this article helpful, you can also subscribe to our mailing list or like and follow our social media account to receive our latest updates.